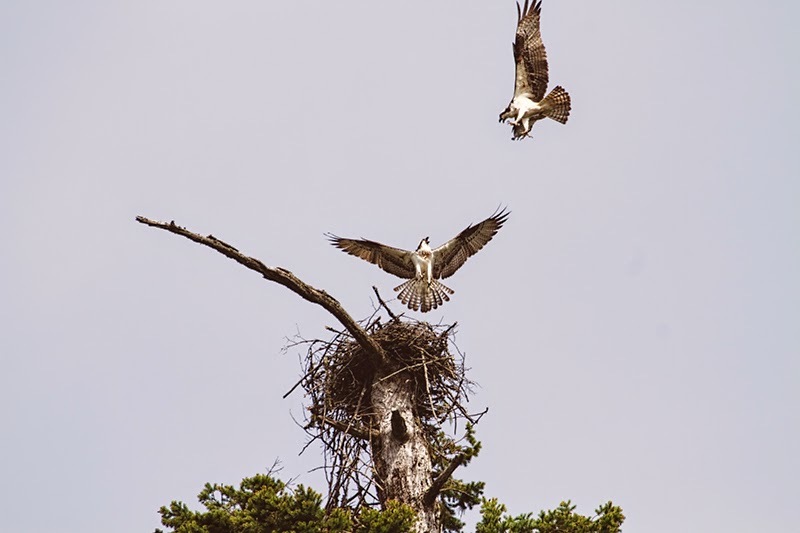 The other day my guy and I were hiking when we came across an osprey nest on top of a tall fir tree in the middle of nowhere. An osprey was perched on a branch of the tree. 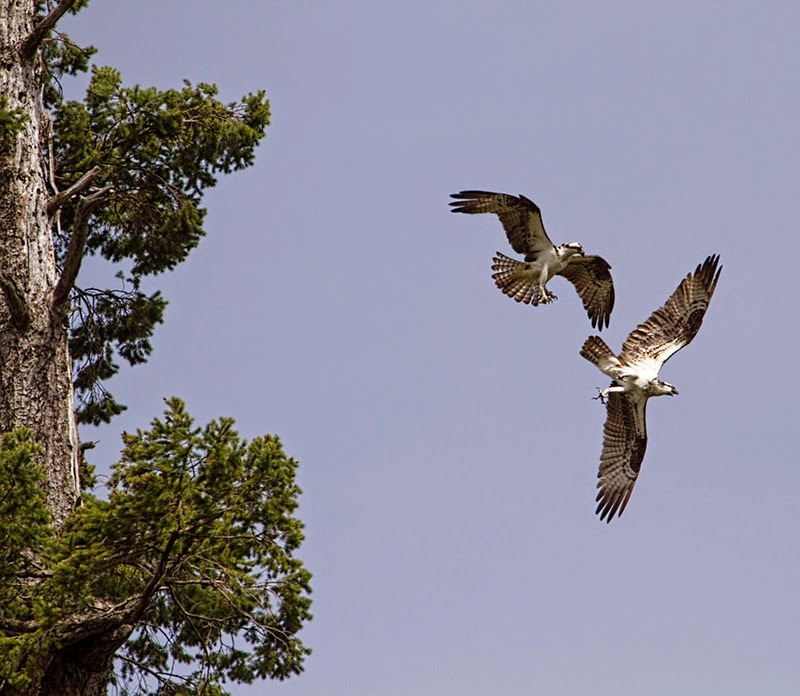 Ospreys (also called fish hawks) are about two feet long with a wingspan of 4-1/2 to 6 feet. Their diet consists entirely of fish and there is only one species of ospreys worldwide. Unfortunately, osprey sightings aren't very common around here anymore so I was thrilled to see the nest. I went back alone the next day, hoping for some action. I sure wasn't disappointed! I don't know what exactly was going on that day but eventually there were five ospreys in the sky, flying around, constantly calling to each other. It happened to be very windy and they seemed to be enjoying themselves. Every once in awhile one of two of the ospreys would land in the nest briefly. It was a busy day for the raptors and their aerial display lasted for over an hour. I was watching for the male osprey's famous "sky dance" where he hovers high in the air above the female with a fish or nesting material, beating his wings furiously, then diving many feet before repeating the manoeuvers. 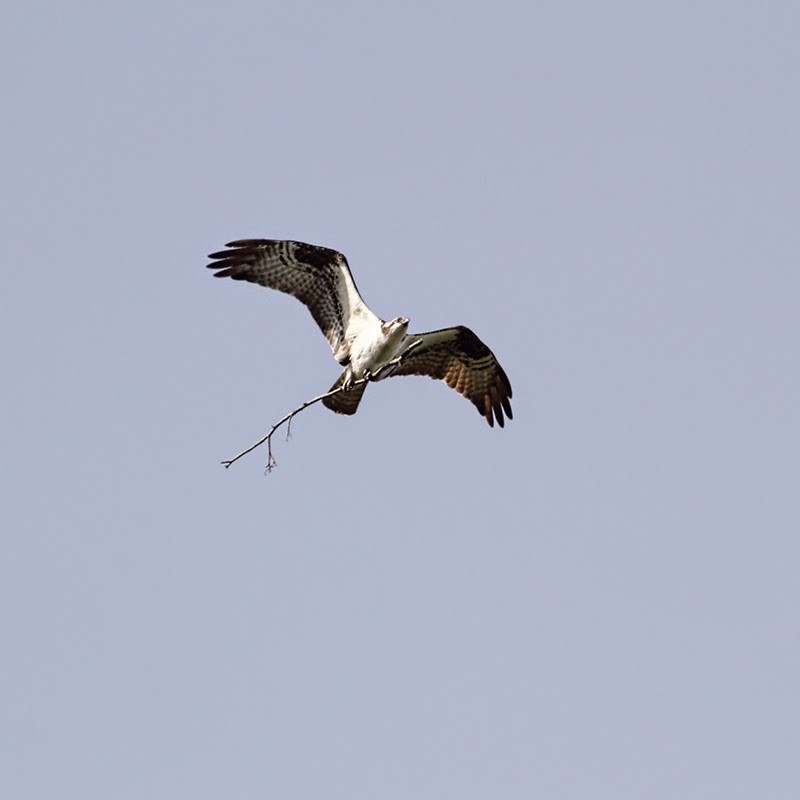 This never happened, although I did see an osprey bring many branches to the nest on that day and on two successive days when I hiked in to check out the activities. I did a little research and apparently ospreys have a courtship period that lasts several weeks. I've only seen the big group of ospreys the one time and since then only one bird has been around the nest or bringing branches to it. 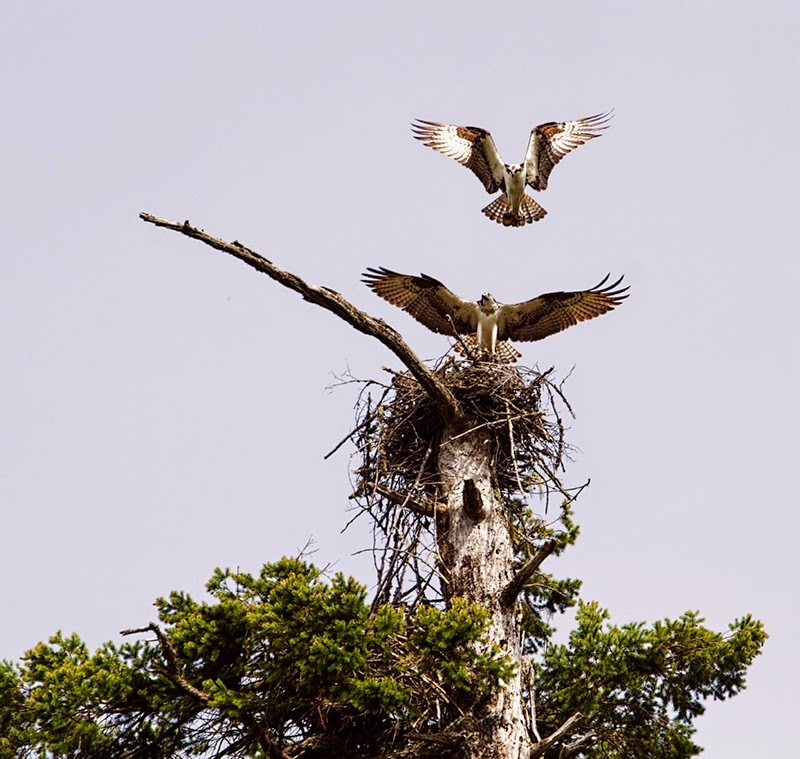 I'll be hiking back there frequently to check up on them and I'm keeping my fingers crossed that I'll get to see baby ospreys before the season is out.